A couple of weeks ago, @jorbin suggested that we install and activate Gutenberg on the WordCamp.org network. This would make it available on every WordCamp site to use for creating/editing posts and pages. It would not be initially available to use for other post types, like speakers and sessions, because these use meta boxes for some of their content, which are currently an unresolved issue in Gutenberg. Some WordCamp sites only have a couple of users (generally the lead organizers), while others have scores. It would be an opportunity for these folks to try out the new editor with a real use case, get a feel for how it works, and help the Gutenberg team as it continues to improve the plugin. It would, of course, be completely optional. Since the Gutenberg plugin is intended for testing and feedback, it lives on a separate screen and the normal editor would still be available. So the question for the community is, should we activate Gutenberg on WordCamp sites? If you network activate it it will throw some people off. What it should be is that it should be installed but it should be a little notice that if organsiers want to use Gutenberg they can but they have to go and activate it themselves. Based on what I saw a couple of weeks back testing gutenburg, I can’t in good faith recommend activating across all the WordCamp sites. To clarify, following the normal channels to create or edit a post would still give you the default editor. You would need to intentionally choose to use Gutenberg. The problem isnt the intentionally choosing Gutenberg, but the fact that if someone switches from Gutenberg to the normal editor there is lots tags which a non developer will be surprised by. It should be a team by team base – allowing them to make that decision means the team know to expect in the normal editor if one of the team members is working via the Gutenberg editor. This is a very valid point and something that we should track, but ultimately a workflow problem. I think that we can solve this with communication to lead organizers though. We should add “choosing your WordPress editing experience” to our mentorship discussions and handbooks so that WC lead organizers can decide how they want to create content for their site. Why can it not be part of the original conversation like a “choosing your WordPress editing experience” discussion with the lead, and the lead decides to switch on on or off when they agree with their team? That way it means its a concious decision by the organising team to turn it on and they don’t come complaining when random comment tags suddently appear. For a camp like WordCamp London, we had people who were not part of the organisnig team going into teh admin area to fix typos, add content in very sporadic way. Many of those people were not devs and i dont want them be surprised by something the leads dont realise about. Organisers have enough to contend with as it is. Sure if we are saying that WordCamp organsiers should eat their own dog food, then i assume there is a discussion of it being turned on make.wordpress.org. It’s already turned on for Make Core. I actually opened the ticket to turn it on for all make sites before I opened to the ticket asking for it on WordCamp sites. Thank you for sharing this perspective, @miss_jwo; it is a worthwhile concern. Since it is optional, I like your solution @brandondove, of adding the idea of “choosing your editing experience” to the earliest conversations we have with WordCamp lead organizers. It’s important for WordPress to eat it’s own dogfood. Projects like Gutenberg aren’t going to progress as fast as they need to without sufficient adoption. WordCamp sites are a great testbed for Gutenberg since the content creators come in many different forms. WordCamp organizers fall into every point on the developer spectrum, every point on the designer spectrum, and many points on the content creator spectrum. This diversity of feedback will help Gutenberg be the best editor it can be. I completely understand that. It’s for that reason I’d want it to be Network Activated. The choice to use will be up to each WC Org as the default editor will stay the same. This gives us more testing and I want to get as much testing as possible on this. I think this is a great opportunity to gather feedback from the community through communication channels we already have in place and ultimately make this a tools we’re all happy using to create content. Hopefully, it will also help to dispel some of the myths that Gutenberg will be the downfall of WordPress amongst entrenched WordPress users. I, personally, have heard some crazy pants accounts of what Gutenberg is and does to your WordPress install that I would like to course correct from the inside out and I think this will get us moving in the right direction. I want my next WordCamp to happen sooner just so I can use Gutenberg for it! While I understand the concerns about this mentioned above, I think it would be a great idea to include – Gutenberg has come a long way in its development and is far more capable of being tested without causing issues. It will be entirely optional for organisers to use it, so I don’t see any real harm in network activating it for everyone. So it’s a +1 from me for adding Gutenberg to WordCamp.org. I have not yet fully tested it but as a WordCamp Organiser I don’t really want to have a mess around with a beta program when I have enough stress of organizing a WordCamp. I don’t have time to give feedback on Gutenberg. Now that is still not clear as to what framework will be used there will be larger changes coming. The last update was made three weeks ago. Once it clearer what the future looks like we could discuss this again. Even with the use of Gutenberg as an optional workflow, you feel this way? I appreciate that there is the option to choose which editor you use, but I just don’t think it’s ready yet and considering the recent discussion around which JS framework it will use which has got a bit confusing, I don’t think it’s at the right stage to add it in. I know that the more people that test is it is better, I don’t think WordCamp sites are the best demographic for testing it. We should at least wait until more work has been done on it to ensure it works and the transition between the editors is seamless. Just curious – for those saying ‘No’ I want to make sure you are aware that going to Posts/Pages will bring you the default editor. You have to explicitly choose Gutenberg to access it. I am assuming that you do know this but still don’t want to add. Am I correct? I think this does leave the choice to use with the org team. I don’t want to have the WordCamp sites untested and we end up with big problems later that we could have prevented with early bug reports. Yes i am fully aware to access gutenberg editor you go to a differnt section of the site. 1. Not allowing wordcamp organising teams to opt in. I actually think most will want to opt in, but they should be given the choice. 2. If you are not savvy, the comment tags that just “turn up” after you have used Gutenberg and then go back to the regular editor will be a surprise to people. I am not against it being installed WordCamp.org sites. I am against it being turned on by default. What i suggest is we have it installed, inform the organising teams via mentors, ecourage them to use it and give feedback ( BTW the method they give feedback, better be easy for them and not more work for community team ), but if they find it has any issues for them, they can then also turn it off. WordCamp organisers did not sign up to be Gutenberg testers. If we want them to test Gutenberg, it should be a Opt-In process. Just to clarify what I think I’m hearing, is your proposal to make the plugin available for activation on all WordCamp sites, but instruct the WordCamp teams that want to work with Gutenberg, to activate the plugin on their sites? Right now, WordCamp teams can’t activate or deactivate plugins on their own. We’d need to have someone with super-admin/super-deputy access on the WordCamp network activate (or deactivate) the plugin on request. Not every WordCamp team has an orientation with super-deputy access to the network, so this would add to the community team’s administrative burden. @miss_jwo Does that detail change your opinion on the best way forward? Network activating Gutenberg or activating on per WordCamp site is a important thing. I doubt this will be the last time such a big change is thrown on top of organisers and it needs to be a opt-in thing. The issue of making it so that local WordCamp admins can locally turn on and off plugins is baked into standard Multisite- and therefore shouldn’t be a problem to incorporate into WordCamp sites. There also has been zero discussion on how feedback is going to be collected. If you expect a busy organsiers to find the time to go onto trac, find if a issue has been raised, create a ticket if it hasnt, and write what the issue is, I think we’re kidding ourselves. Again, at WordCamp London, i saw multiple issues and bugs with WordCamp sites, and even as a developer, i knew i neede dto report them or note them down, but i never did it because i was too busy balacing budgets and organising the actual event. So i doubt if last year i had gutenberg installed and was using it, i would add ” report gutenberg issues” to my list of things to do. I’m super new here so I’m not sure if this suggestion is the best idea, but would it be possible to, say, contact WordCamp organisers letting them know about this and giving them a (loose-ish) deadline to let the community team know if they’d like Gutenberg to be activated for them, then have someone with that super-deputy access do them all in one go? That would hopefully reduce the admin overhead but still make it explicitly opt-in. Alternatively, if the vast majority of WordCamp organisers do want it, you can activate it by default and just deactivate for the ones who don’t. My other thought is that it’d be really cool to have an easy and accessible way of collecting feedback, something that requires a smaller participation threshold than having to search for an issue and create a ticket. @karmatosed today created this ticket to suggest to add a easy way to collect feedback. Even if activated by default, it still is opt-in. As in, you don’t need to use it if you don’t want to. Nothing will ever be perfect, but to me it seems like the dogfooding benefits outweigh the potential for confusion if a non-savvy user opens the HTML editor and sees HTML comments. For WCBelfast, we would be happy to test Gutenberg in the site. As those that would be editing the site are experienced WP users. However, not all WC organisers might be as savvy, and it could cause a lot of confusion for those users. Why can’t we just release a beta version of WP with Gutenberg enabled? I would happily set-up a site or two with gutenberg hard-coded in. I’m honestly neutral about it. I totally get Jenny’s view, but the issue of “you may see extra HTML comments if someone has edited the post with Gutenberg” is a one-time bit of education for organisers who edit a site. What I am totally behind is the “WordPress organisers didn’t ask / don’t have time to be beta testers”. I understand the Gutenberg developers to want some guinea pigs to get feedback, but expecting it from those who have already volunteered their time to benefit the community in other ways seems like it is taking advantage. But, at the same time, I can see why enabling it network-wide, doesn’t *definitely* mean that any of the above two issues come into play. I think Jenny raises a very interesting and valid point. I’m quite split between network activation of Gutenberg and activation per site. I’m leaning slightly toward it being per site. My main reason is the amount of time organisers already spend getting acquainted with Camptix, dealing with its existing bugs (yes I’m guilty of not finding the time to report these), figuring out how to do stuff that isn’t documented (yes I know, I could report that / document it myself – again, it’s a lack of time issue). I think rather than adding Gutenberg on top without asking, it would be nice to ask people per site if possible. However, I’m fairly sure it wouldn’t be the end of the world if it you did go for network wide activation – people would probably figure out eventually why there are extra tags etc. +1 from me. I think the benefits outweigh the possible disadvantages, which so far all seem like pretty on-the-edge edge cases to me. a) The plugin activated would still be an opt-in feature that every organizing team can decide to use or not. b) I’m not worried about the HTML comments, normal users normally don’t use this view, and if they do, it’s because they have enough knowledge to unerstand what’s a comment and what it’s not. c) I’d add this information in the WordCamp orientation script, so all deputies make sure of mentioning this option during the meeting with the organizers. d) I’d add some lines to the automatic email that organizers receive when the WordCamp website is created about the posibility of using Gutenberg and a link to the feedback’s page. +1000 from me ! Although I understand the concerns of people saying no, i think WordCamp Sites are the perfect places to experiment new things. As a WordCamp organizer i think one of my duty is to show people I am always ready to contribute to the Software and to try to improve things where it can be. Thanks to everyone who weighed in. This post inspired a lot of discussion, which is always wonderful. Our community is full of passionate opinions, and that’s part of what makes us great. With Gutenberg network-activated, using it is still entirely opt-in. Starting in version 1.3, there will be a link for quickly giving feedback. We make WordPress with WordPress, and this is an extension of that work. So, Gutenberg is now network-activated! A user encountering the Gutenberg-generated HTML comments seems somewhat unlikely, but if even they do find them, it’s not a showstopper. Their purpose may not be immediately clear, but the same is true of the shortcodes that we include in the pre-populated content on new WordCamp sites. We’re always available to help our organizers manage the challenges that can come from uncertainty. Perhaps we should add a section to the WordCamp Organiser’s Handbook about the comments to explain what the HTML comments mean. Then we would have a referral point if people ask, or if they go looking for the info themselves. 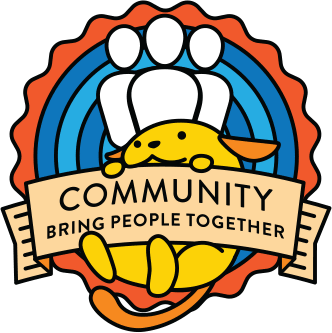 Things have changed since this post was written so I’d like to weigh in with some updates from a real, living, breathing organizer with a WordCamp happening in 5 days. This is no longer true. It’s now the DEFAULT behavior for “Add New” and the ONLY option for the “Edit Post” button in the admin bar. One of our organizers who had never used Gutenberg was really flustered yesterday. I’m not quite sure what happened, but she felt the need to remove all the related code to get things looking ok again. She had no idea this change was made or how to deal with it. If nothing else, communication (with a lead organizer) was lacking. Overall: I’m really sympathetic to the idea that we should be testing frequently as @imath suggested. I’ve tested Gutenberg in the past and will do more in the future. BUT, when WordCamp is next week and I need to pound out updates as fast as possible, this is not a time when I have the patience to deal with problems, document my experiences, or share feedback. If this were months ago or Gutenberg were more stable, maybe this wouldn’t be an issue, but right now this is actively making it harder for me to use our WordCamp site. Hope the feedback’s useful. A way to opt-out would be appreciated. Thanks Mark, I agree that the switch to Gutenberg being the default editor has changed the situation here. It was the right call for most sites testing the plugin, but WordCamp.org is a bit of an edge case, and it’s still too early for us. I’ve temporarily de-activated it, in order to restore the experience that most organizers expect. I’m planning to re-activate it soon, once I have time to write some code that will restore the Classic editor as the default. Hopefully that’ll be tomorrow. Then, once Gutenberg has had time to iterate some more, we can restart the discussion about it being the default editor. That’s finished now. All of the add/edit links will default to the classic editor. To add a new post/page with Gutenberg, navigate to the `All Posts` screen, then click on the down arrow on the `Add New` button, then click on the `Gutenberg` link. To edit an existing post with Gutenberg, browse to the `All Posts` screen, hover your mouse over the post’s row, and click on the `Gutenberg Editor` link.